It began in the bars. Wind the clock back to 2012, sometime in October, at a place called McMullan’s Irish Pub. There you’d find six twenty – somethings gearing up to play a slew of cover tunes – popular songs, some lesser known – Irish folk songs and just a handful of their own. Going back just one year prior, you’d find present day frontman, Marshall Lytle, playing guitar with two former colleagues in those bars, pursuing the working musician’s career. Enter Nick Boswell, bassist and musical aficionado. Nick joins the ensemble on bass guitar and makes mention of two long time friends who are interested in joining a group. 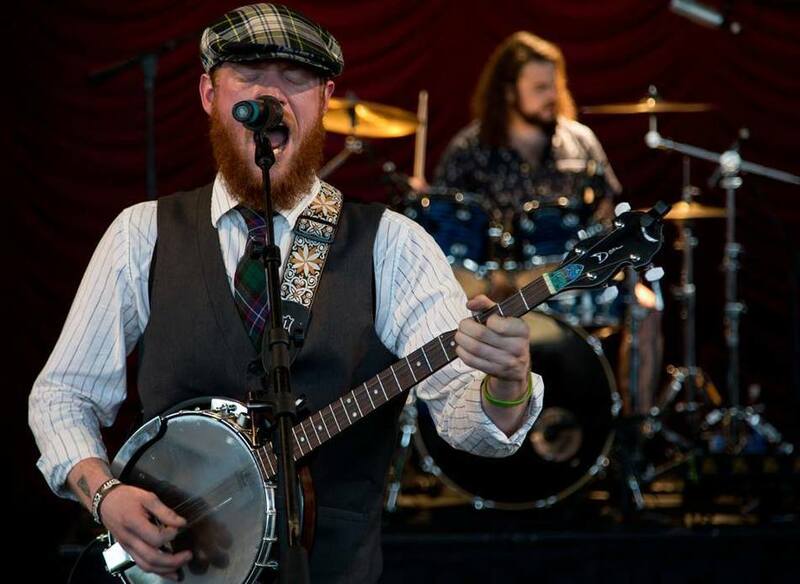 With quick wit and quips to match, Kevin Linsley is added to the roster playing mandolin followed suit by father – figure and heavy hitter, Jeremy Tunender on drums. After the departure of a member, the band finds itself in need of another guitarist, where known associate and zen guru Steven Sabo finds his place. A final component is added with the likes of Steven “Whispers” Viveros, a one-of-a-kind, six string wizard delivering mind blowing guitar riffs. Bogtrotters Union is still hard at work cultivating a sound all their own through their songwriting together, while still playing those bars from time to time. The line up remains nearly original, though Steven Sabo has left the band to pursue other musical interests. He remains a dear and close friend. Friend and colleague James Dunbar has taken the mantle of bass while Nick alternates between guitar and bass. You can find Bogtrotters Union frequenting McMullan’s Irish Pub, as well as the annual Age of Chivalry Renaissance Faire at Sunset Park.